Two of the most convenient and non-invasive ways of having thorough medical examinations are through the use of CT scans and x-rays. These are pieces of medical equipment that help doctors visualize different bone structures from various angles. They can also help reveal what’s going on inside the head or the body so doctors can validate their diagnosis on a patient’s injury or illness. This article will inform you about CT scans and x-rays and identify the differences between the two. CT scan stands for “computed tomography” scan. The word “tomography” comes from the Greek words tome which means “slice” and graphein meaning “to write.” It is a combination of x-rays taken from various angles, producing cross-sectional or axial images. It’s like seeing virtual slices of the inside of our body without actually cutting through it. CT scans are also used to check for tumors and they are often referred to as a “CAT scan” which stands for computed axial tomography or computer aided tomography. CT scans were introduced in the 1970s and since then, they have proved to be a vital tool to use alongside x-rays. The CT scan machine can provide 3D images and is quite an expensive procedure. Computed tomography is most commonly used in medicine but also has valuable benefits in other fields. It is also used in the science and technology industry for non-destructive materials testing. This is where they evaluate the properties of materials without causing any damage to them. Another field is in archaeology where they use CT scans to get images of what’s inside a sarcophagus. Those who perform CT scans are called radiologic technologists or radiographers. There is, however, a high risk of exposure to radiation when undergoing CT scans. X-rays are a form of electromagnetic radiation. Electromagnetic radiation is basically waves of energy and light moving all around us. It is called as such since it has both electric and magnetic properties. A wave is classified to be a gamma ray or an x-ray if it is high frequency or has a lot of energy. X-rays are also called Rontgen rays, named after the German/Dutch physicist and mechanical engineer, Wilhelm Rontgen. It was in 1895 when he generated and identified electromagnetic radiation in a wavelength range and named it x-ray. It was named as such signifying an unknown (x) kind of radiation. X-rays are used as a basic screening method to detect bone injuries or certain illnesses in patients. They have been used in the medical field for a long time. X-rays provide snapshots of the bones as well as the inside of the body in a two-dimensional view. X-rays help confirm certain diagnosis such as fractures or dislocations of the bone. There is also minimal risk of radiation when undergoing x-ray procedures. 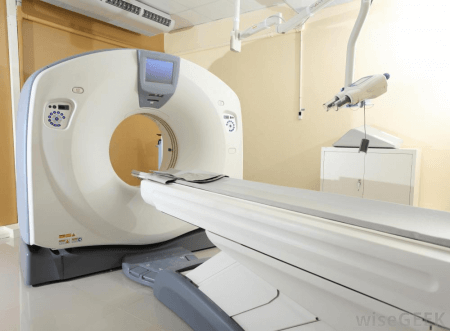 What is the difference between a CT scan and an x-ray? 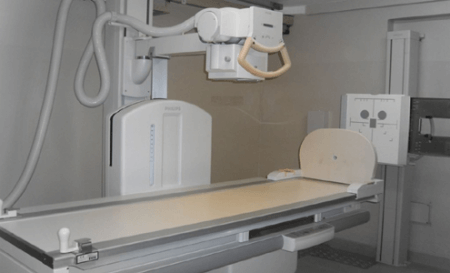 CT scan equipment uses more advanced technology compared to x-rays and CT scans are more expensive. Doctors order a CT scan as a next step if suspected diagnosis is not fully supported by results of an initial x-ray test. CT scans take axial images and can reveal the whole interior of the body, whereas x-rays only provide aligned snapshots. CT scan equipment shows 3D images, whereas x-rays are strictly two dimensional. When in need of a more detailed view of the different layers of the bone, one must undergo a CT scan. X-rays provide images of the bones, helping doctors identify whether there’s a fracture or a dislocation in certain areas. In terms of radiation exposure, patients who undergo CT scans are more at risk than those who go through x-ray procedures.